First and for most, I am sorry that I have not been posting regularly lately, but I have been really busy with school and exams. It is rare for me as a student to have the amazing chance to dress up really smarty for a business casual look, therefore when I get the chance to I try my best to perfect my look 😁. 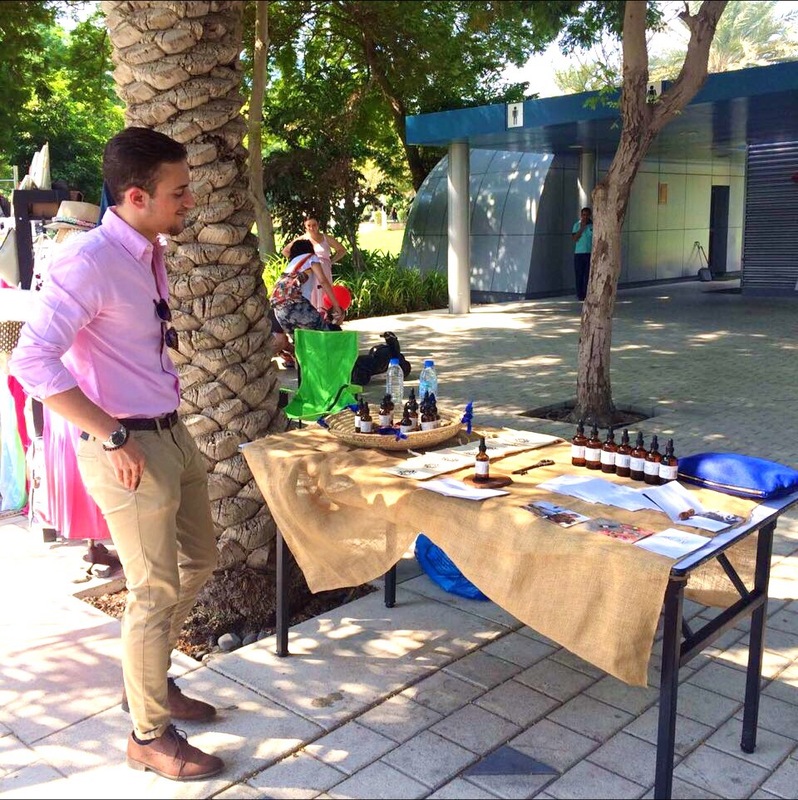 So I went the other day to a market with my lovely cousin to help her sell her 100% pure argan oil Arganic , that is why I used this chance to dress a bit more preppy than what I usually do because I also needed people to take me a bit more seriously since I was selling and marketing her oil. 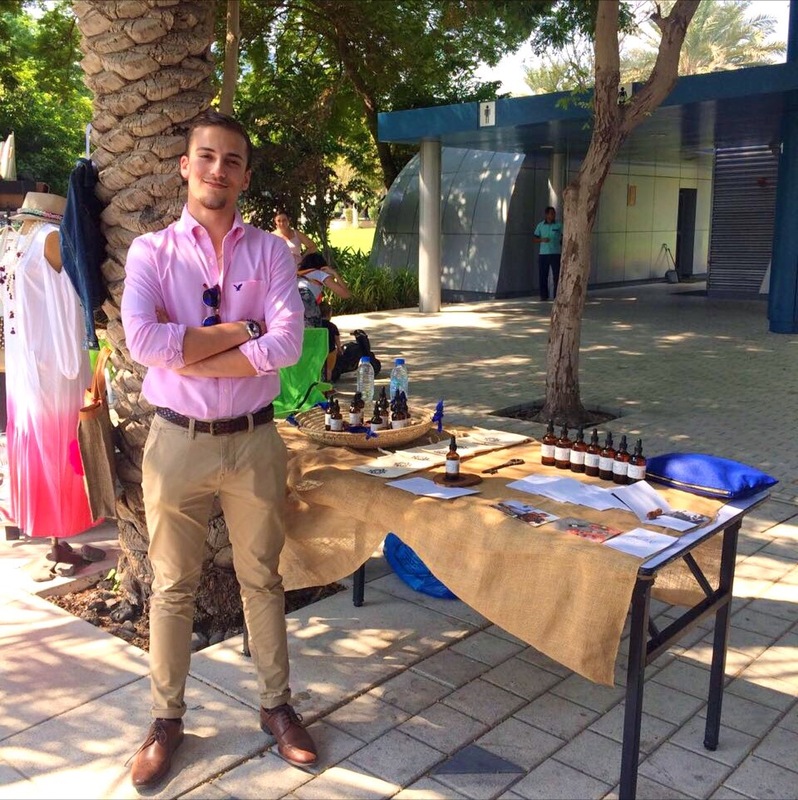 As you can see in the picture the piece that attracts most of the attention is the pink oxford from American Eagle, I felt like wearing this piece because it is not a colour that you see anyone wearing it demands a bit of confidence but if you rock it confidently then it works like magic. Since pink is a hot colour I needed to pair it with something that balances the pink to make the outfit seem professional, so I went with my beige chinos from Pull&Bear because beige works with almost anything so it is quite the safe bet, then I finished it off with a pair of brown brogues from Clarks and a braided leather belt from Aldo because obviously the whole outfit is meant to be business casual rather than being a proper formal outfit, plus they add really cool and unique details to the outfit. Accessories wise, I grabbed my sunglasses first because it was super sunny that day especially since I always get a headache when it is sunny outside and I do not wear them, then I grabbed my metallic Casio watch and silver chain to add some metal to the outfit plus it helps with balancing all the colours, finally I had my bracelet and ring on because they are just essential for me. As you can already tell, this outfit is meant for a business casual environment, and it is superb if you want to stand out as well as show some colour, but if you are not a big fan of pink you can simply replace it with any of your favourite shirts because the colours in this outfit work with almost anything so as usual the possibilities are endless. That is all folks! I hope you enjoyed this outfit, plus I am quite sure you will also love it if you try it with your shirt of choice, so go forth gentlemen and look like the stylish beasts you are!